De-optimizing your cancellation process: You can check out any time you’d like, but you can never leave. Easy is better. Simplify every process. Reduce friction. Help visitors take action quickly. The easier the website or landing page is to use, the more profitable it will be. Some of your visitors want to act in ways that don’t make money for your business. Some actions cause you to lose traffic, lose subscribers and lose money. Making these actions easier actually reduces profits. 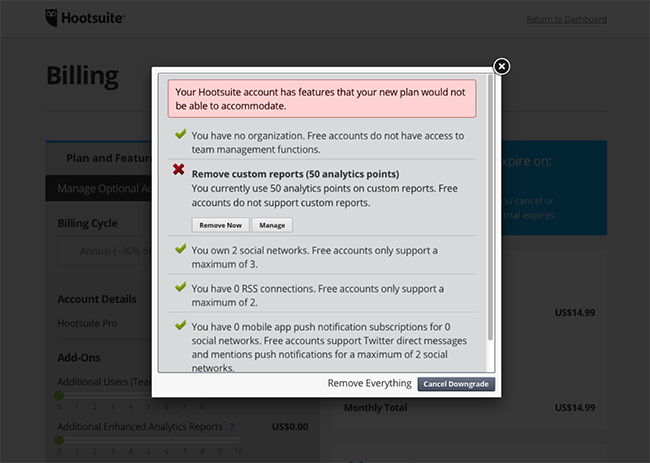 Sometimes, it pays to be difficult — but not if you’re sacrificing delightful user experience. 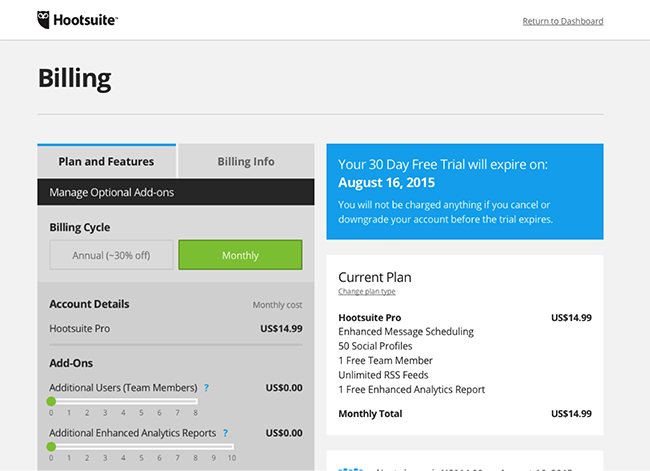 Here are seven de-optimized processes for ending subscriptions and cancelling service. Are they profitable? Probably. Delightful? You be the judge. 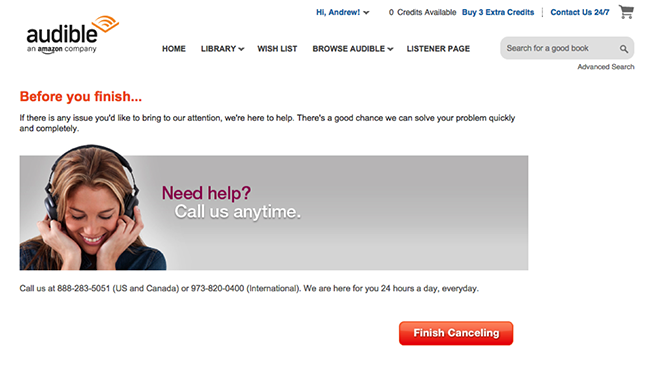 Verizon has a page about cancelling service, but people don’t like it much. 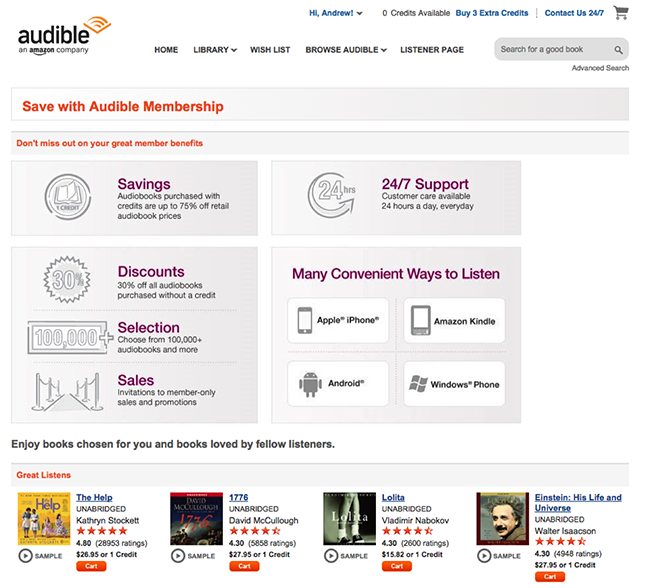 The average rating of 1000 users is one out of five stars. And Verizon doesn’t seem to mind telling us this. 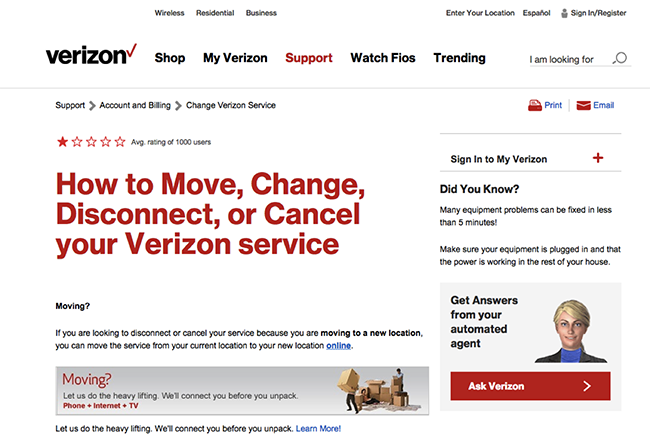 The page is really about moving, changing or disconnecting service. But most likely, most visitors to this page aren’t moving. They’re trying to cancel. But the page doesn’t actually tell you how to do that. That’s right, you have to call. And this isn’t a direct line — you’ll have to wait as you’re transferred. Make sure it’s during business hours. No wonder visitors gave this page one star. 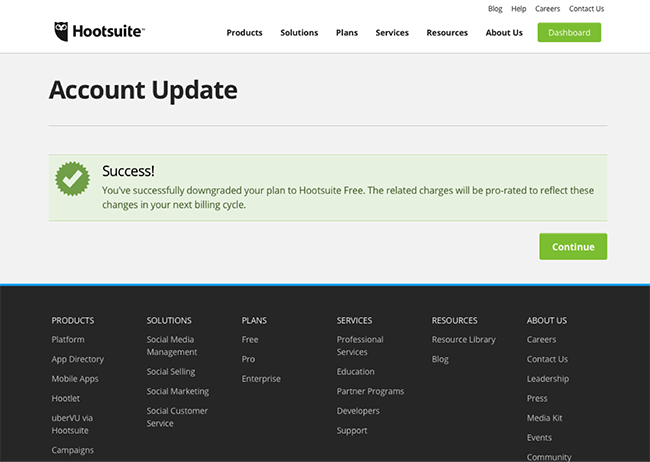 I love Hootsuite. I use it all the time. I once tried their pro features, but after a few days, I decided it wasn’t for me. So I decided to switch back to the free version. This began a very long process. You start by going to “billing” which doesn’t quite describe what I want to do, but close enough. 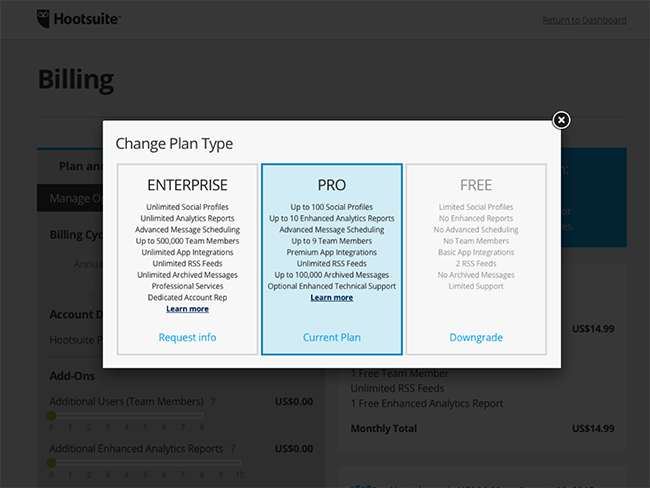 Next, you’ll need to look very closely to find the “change plan type” link. It’s the smallest text on the page. Gray on white text. See it? 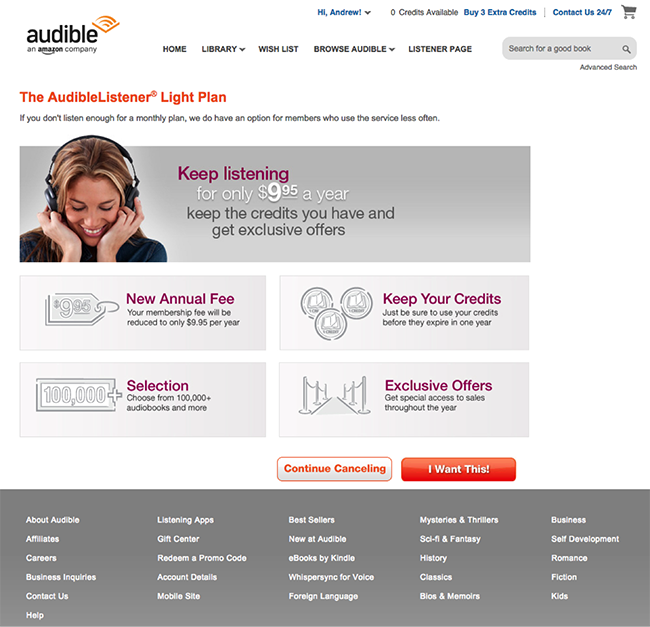 It’s the tiny, tiny text under the “Current plan” header on the right. Click, and now you’ve made them sad. 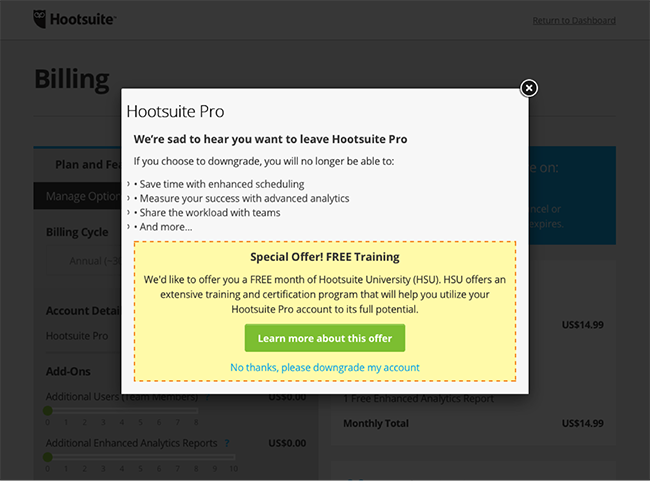 There’s a little owl crying somewhere at Hootsuite Headquarters. But wait! There’s a special offer. And it’s free! But if you really want to break that owl’s heart, there’s another downgrade link at the bottom. Now it gets real. There’s a red x next to the specific feature that we’ll lose if we downgrade. The specificity triggers loss aversion. And it’s not just the feature, I’m going to lose points! 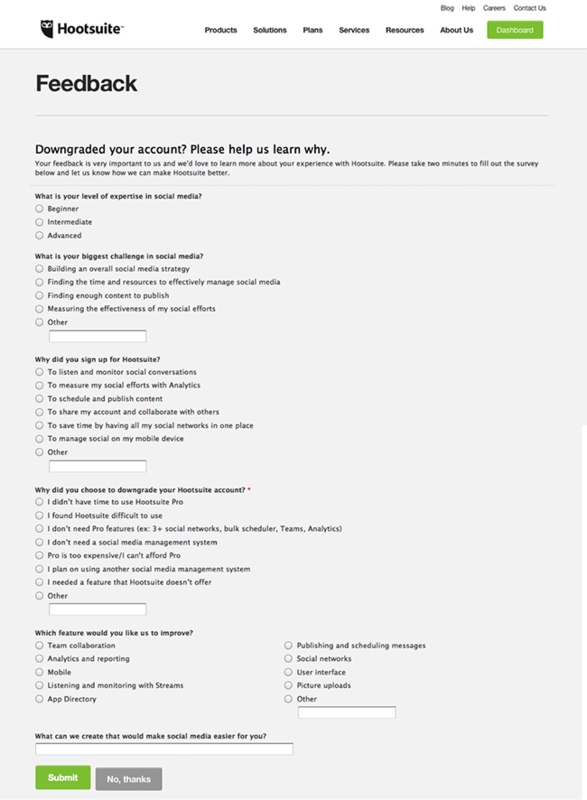 To proceed, we have to really commit and click “Remove Everything” which sounds like a more extreme action that I’d intended. One more message box with a reminder of what I’m losing. This must be to make sure I hadn’t clicked those last four tiny links by accident. …which brings me to a survey. It’s smart to remove every dead end from your website, right? Why not take the opportunity to gather a little information? One question asks about the reason for downgrading. Clever. It was a long road of seven clicks, not including the survey. But we made it. 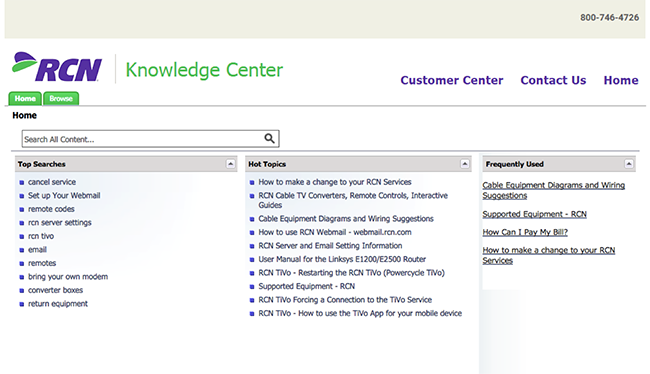 I couldn’t find any information about cancelling cable on my local cable company’s website, so I looked in the knowledge center. Looks like “cancel service” is #1 on the list of top searches. Nope! There is no page about cancelling. But the top search result might be helpful. It’s about “making a change.” Let’s try that. This “making a change” page, by the way, was at the top of the list of “hot topics” on the previous page. It’s a dead end with a phone number at the top. You know what happens next. It’s a 30 minute phone call to an operator who first offers you a lower rate. Eventually, you learn that you can cancel, but you have to bring your cable box back to their office first. They are open from 10am to 3pm Monday through Thursday. The final step? Get in the car and drive several miles to the cable company to return the cable box. 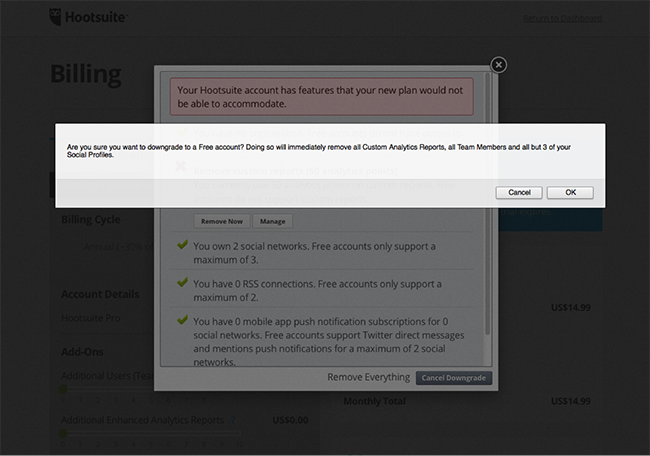 How’s that for user friction? I’m on a lot of lists. 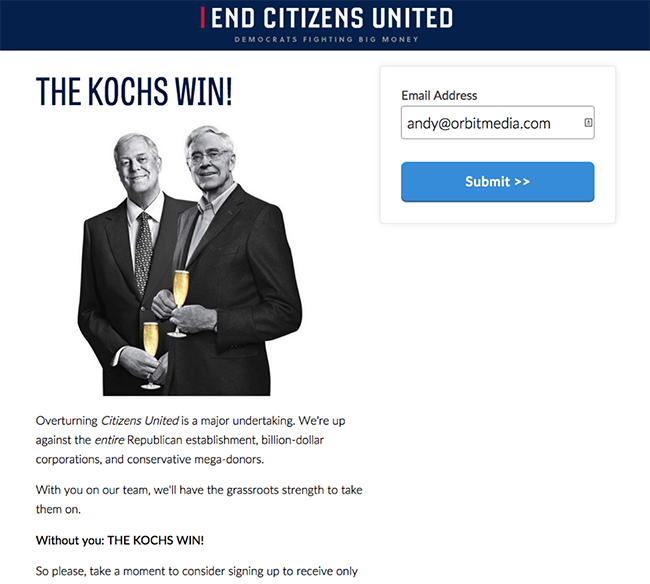 Some of them are fundraising lists for political causes. These people send a lot of email, and although I might support the cause, enough is enough. Time to unsub. Oh no! Because of me, the bad guys won! 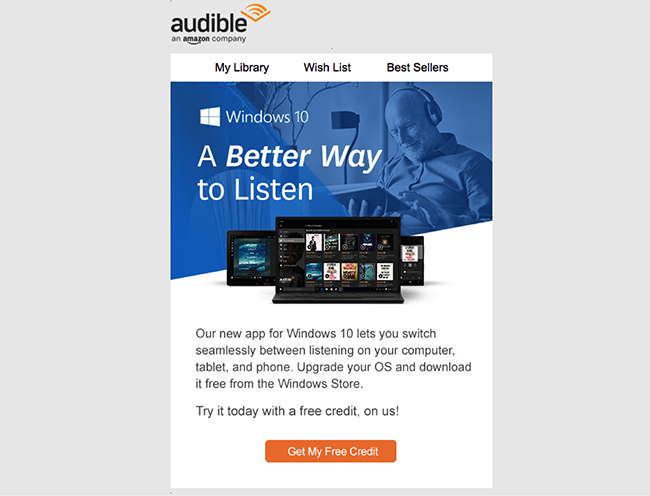 The regret trigger is accompanied by an offer to resubscribe. It’s tempting. Here is an unsubscribe page that doesn’t use the word unsubscribe. It’s an offer to select from a list of newsletters with one option: “special subscription offers.” It looks exactly like a signup page. Of course, you came to this page because you’re trying to stop receiving those offers. 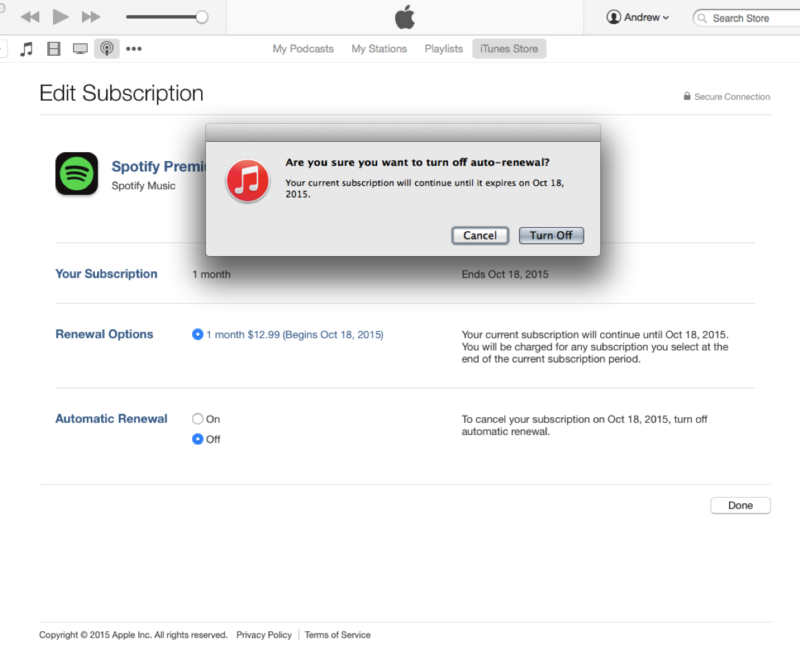 But there is no option to unsubscribe, only an option to update preferences. 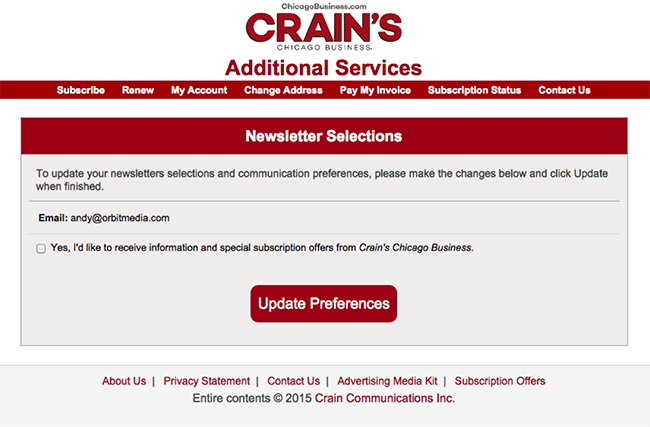 You unsubscribe by unchecking the “yes” box. If this newsletter was a relationship, you wouldn’t be breaking up, you’d be declining the first date. Here’s another break up story that will leave you in tears. 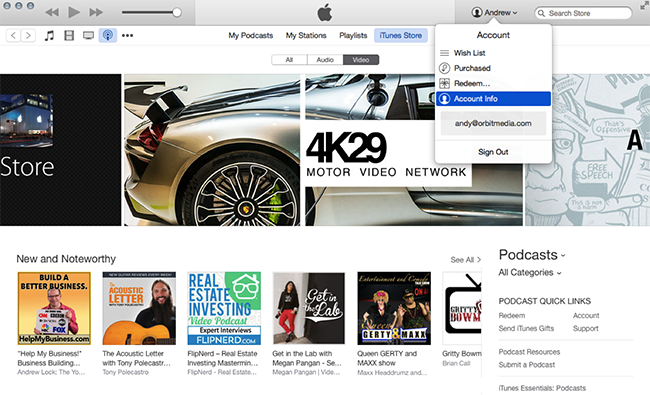 Spotify is a great service, but if you upgraded to the premium version through iTunes, you’re in a relationship that’s hard to get out of. By the time you’re done, you’ll need some counselling. 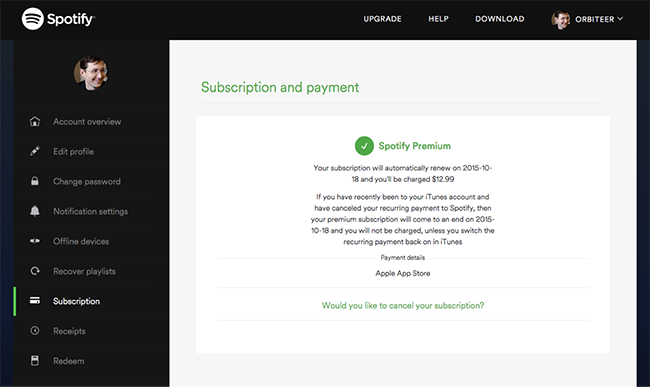 Imaging you’re trying to cancel Spotify Premium. You go to your account page. Now what do you click on? 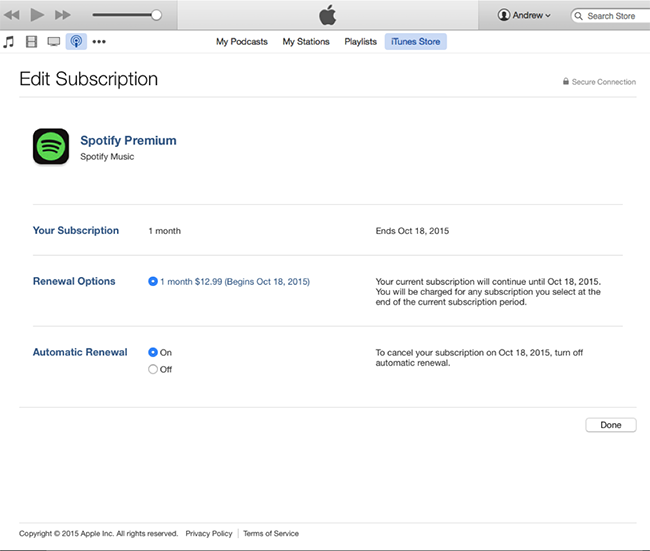 The correct answer is “Subscription” which makes sense. We’ve hit a dead end. 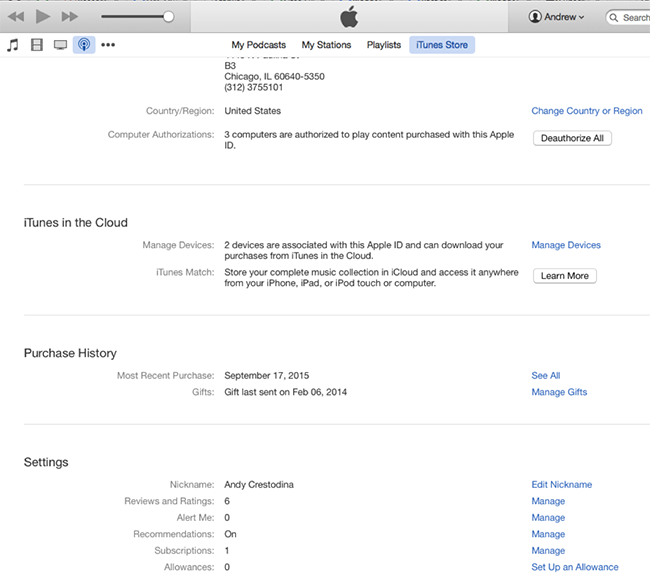 It’s a notification telling us that we need to go to iTunes to cancel. 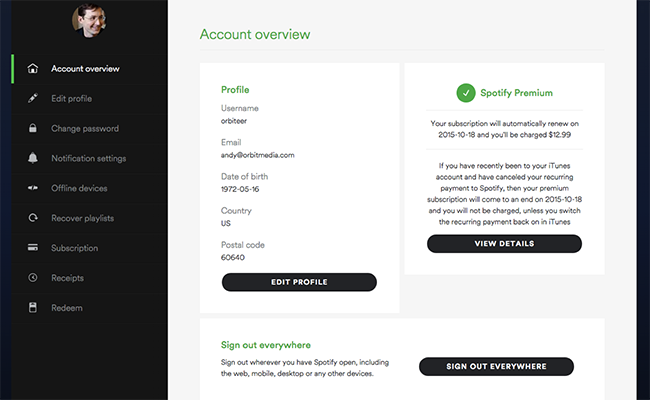 You can’t cancel Spotify from within Spotify. 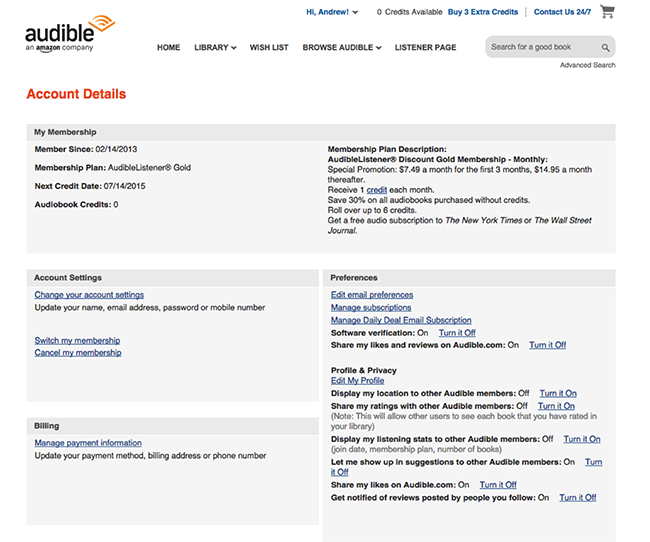 At the bottom of this page is a small “Subscriptions” label. To the right of it is a “Manage” link. Let’s try that. This was step seven in the process. But who’s counting? Next up: a confirmation message. 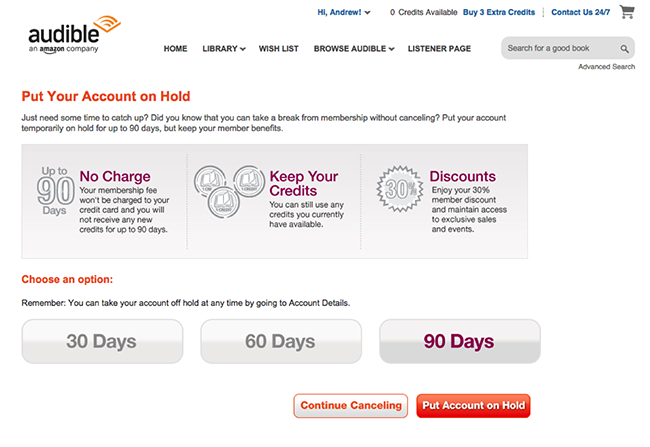 But this doesn’t actually cancel anything, it just lets it expire sometime within the next month. 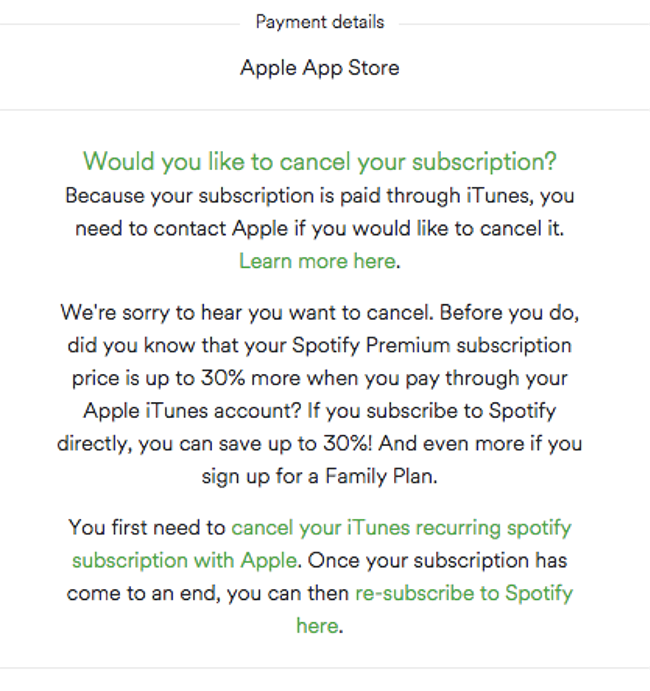 I’ve endured this long process not because I don’t want Spotify, but because I need to cancel premium so I can sign up for the family plan. So I really don’t want to wait a month. Isn’t there a way to cancel now? Let’s chat with the support team. 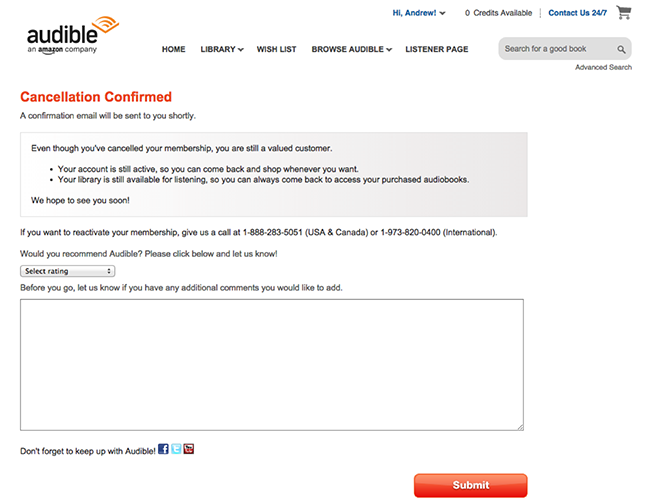 In the end, you actually can’t cancel. 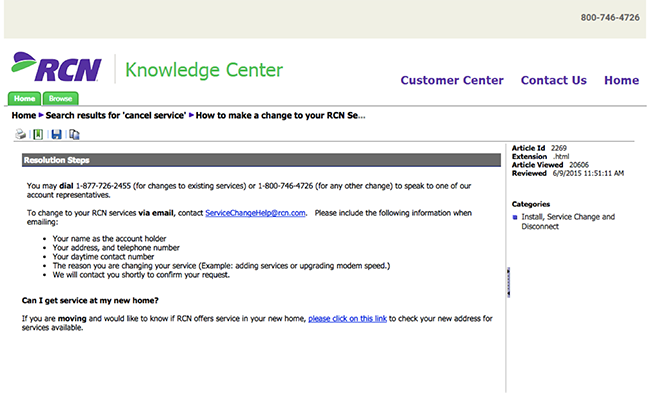 You can only turn off automatic renewal and then wait. So the last step in this nine step in the process? Wait a month. 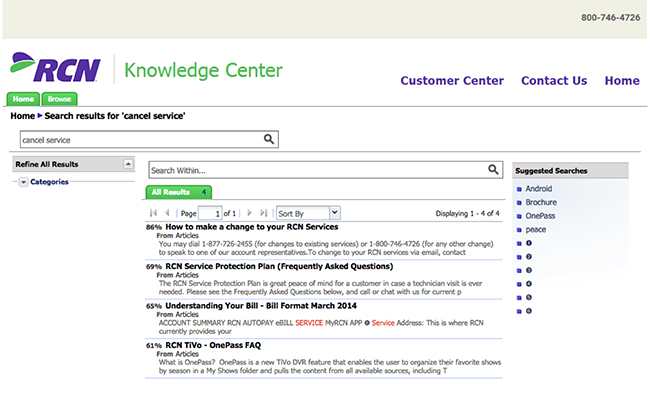 We’ve seen tough-to-quit services, hidden opt-outs, and post-cancellation surveys. Here’s one final breakup service that combines them all into a masterpiece of deoptimization. 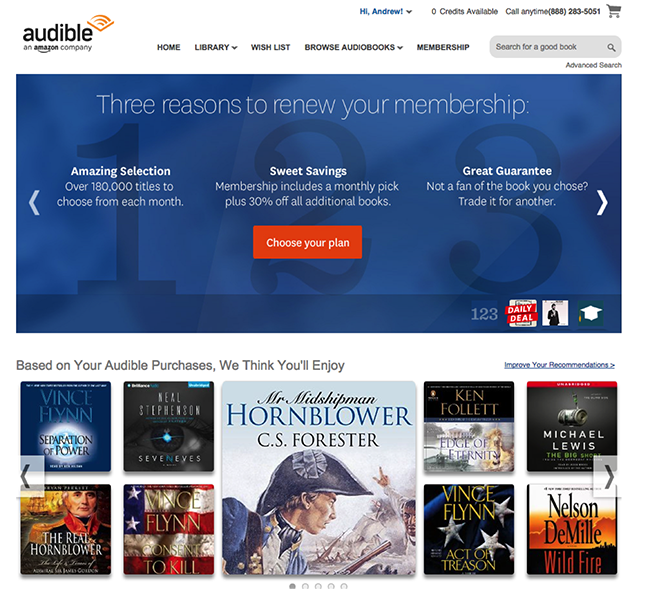 Rather than having to purchase audiobooks, they sell a subscription to an endless stream of audiobooks. If you don’t use them, the credits pile up. Eventually, you’ll wonder why you’re paying that monthly fee. Let’s see what it takes to cancel. On the left, in the middle box. Although we just told the site we want to cancel, we’re presented with benefits and selling points. Scroll down. It’s below the fold. Before we proceed, we need to name our reason. But determined to move on, we continue. But of course, this isn’t goodbye. We are told that although we’ve cancelled, we are “still a valued customer.” Once a customer, always a customer. 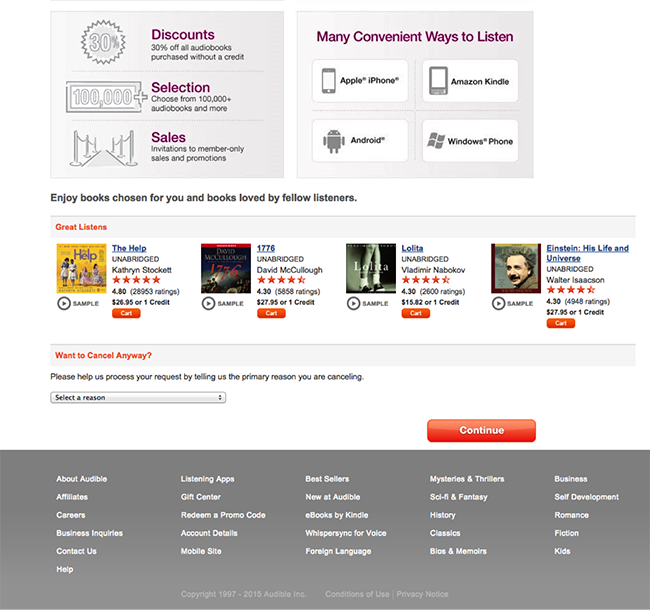 And the site wants to have one last conversation: Select a rating or leave additional comments. The last screen? 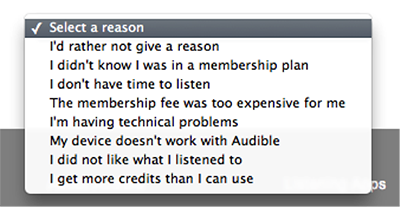 A list of reasons to renew. Of course, there’s a confirmation email, which is another chance for reconciliation — back at the site, through email or over the phone. And although we’ve cancelled, we’re still subscribed. 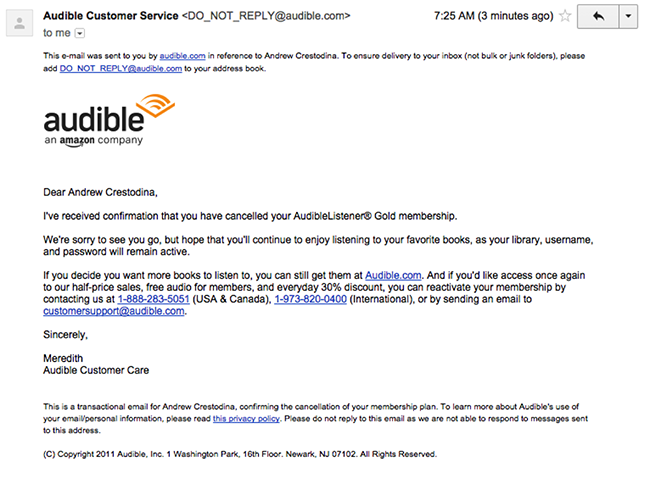 Minutes later we get another email, offering us a free book. Remember, that one-click relapse is easy, but to get clean again, you’ll need to go back through that 12-step program. 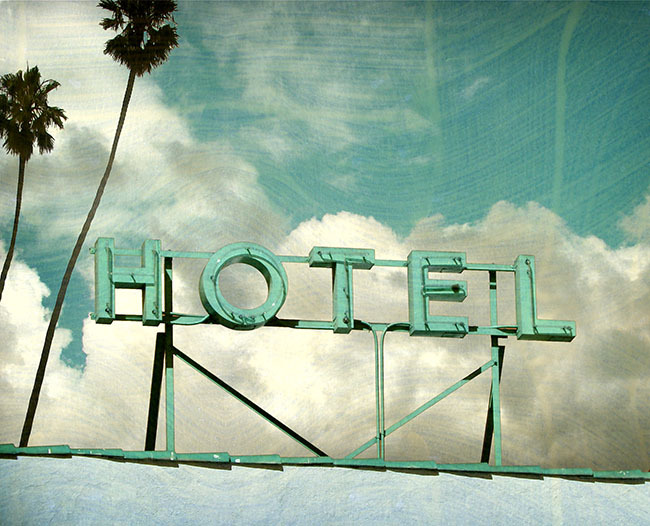 It all reminds me of that lyric from the Eagles song Hotel California. Marketing is about promoting a product or service. It’s about showing prospects that you understand their pain points and that you’ve got a tailored solution. If we keep them, will they still be happy? Will there be a backlash against us? Do these tactics violate our brand values? How far are we willing to go to keep a customer? Great websites are empathetic. They care, they help and they work with the visitor for mutual success.